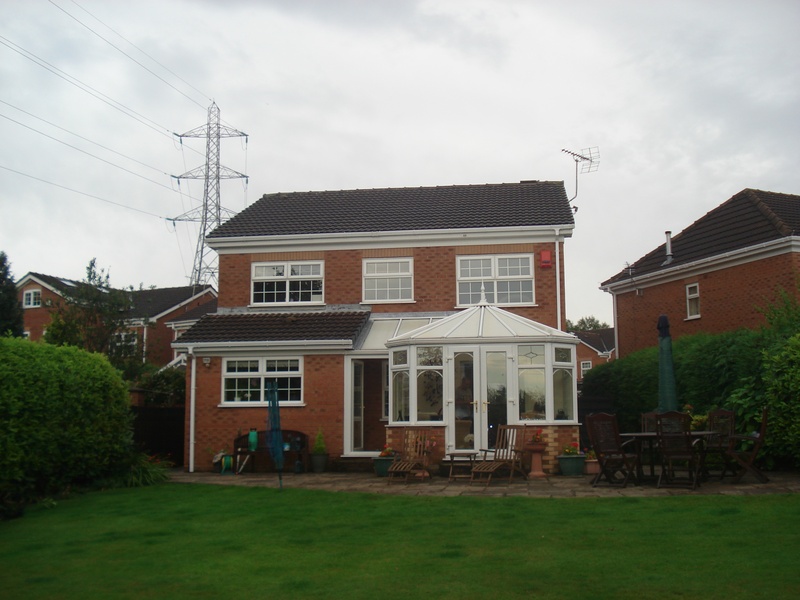 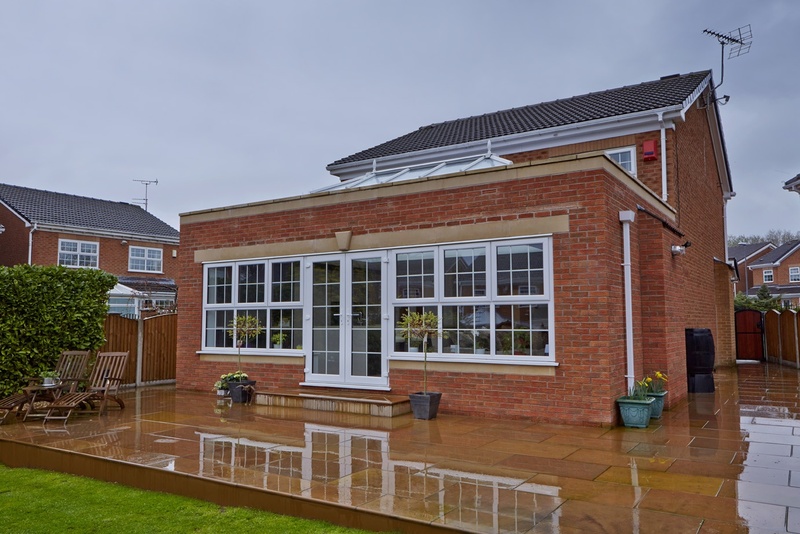 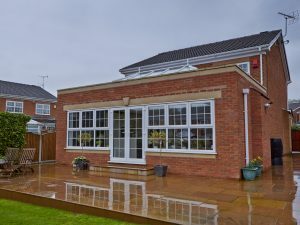 The existing dwelling was a detached property with a small single storey extension and separate conservatory to the rear. 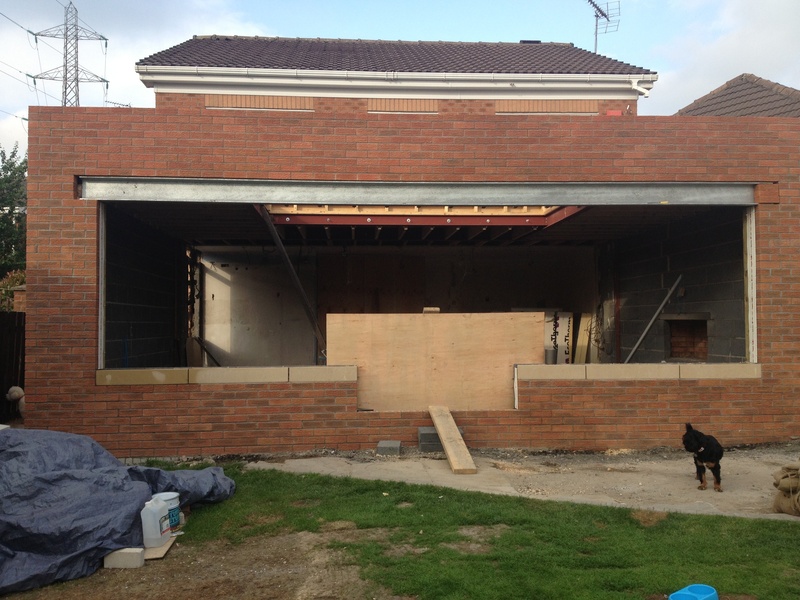 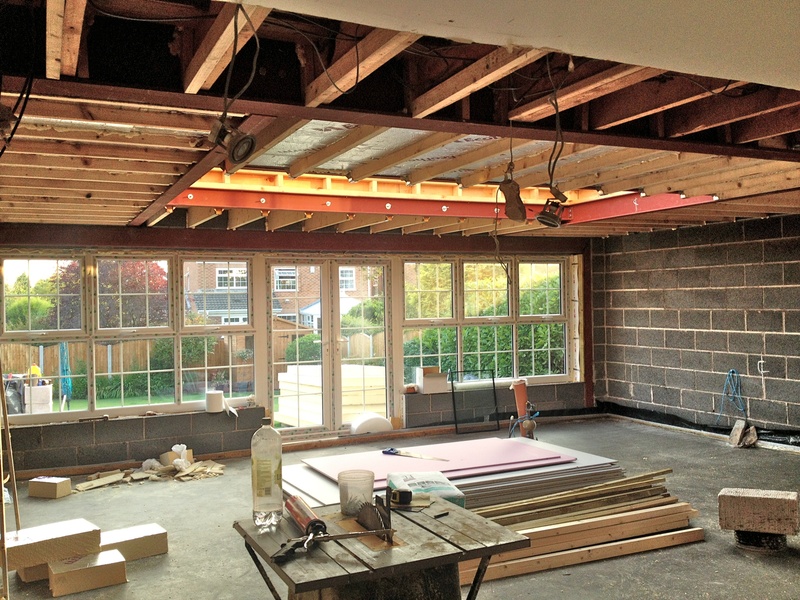 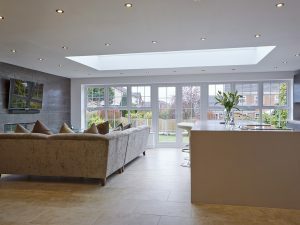 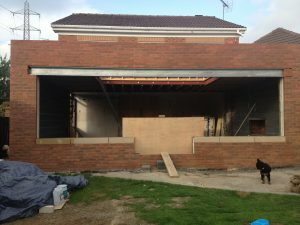 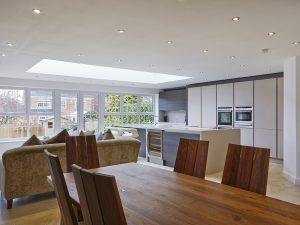 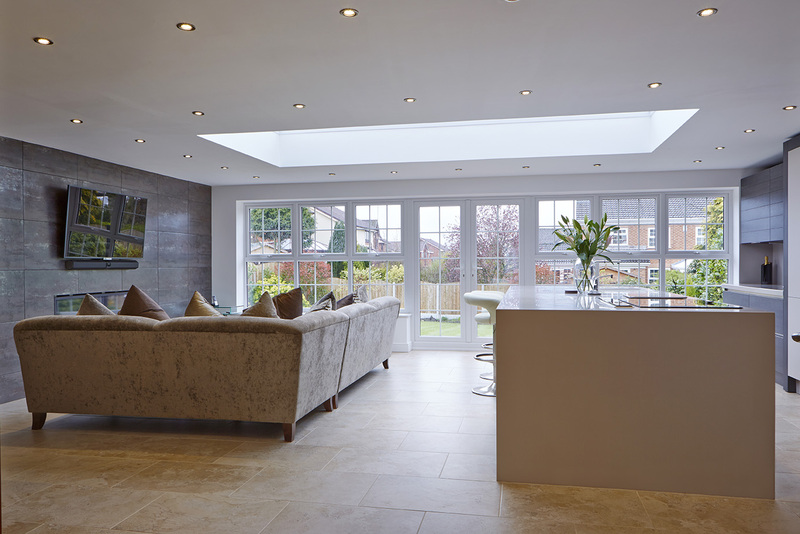 Our brief was to demolish the extension and conservatory then create one large open plan space. 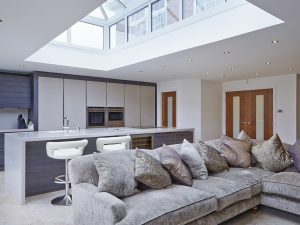 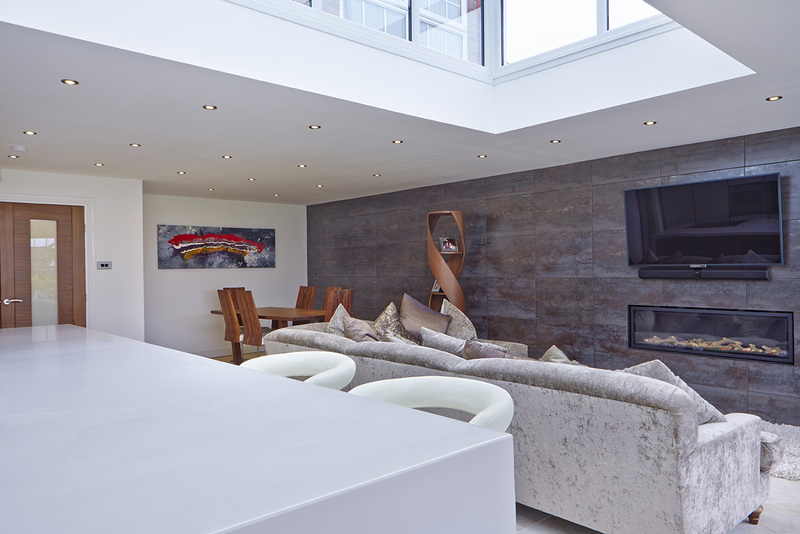 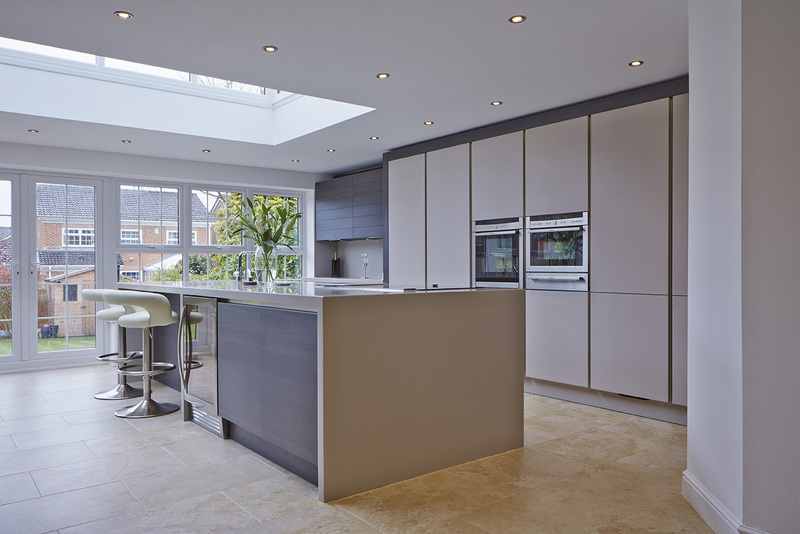 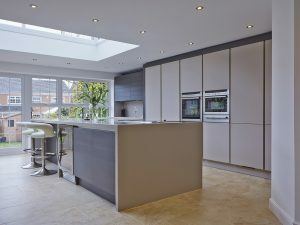 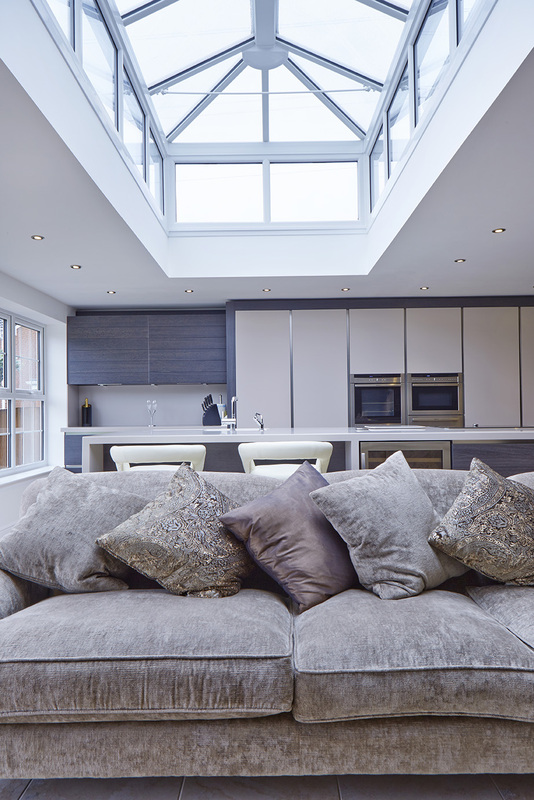 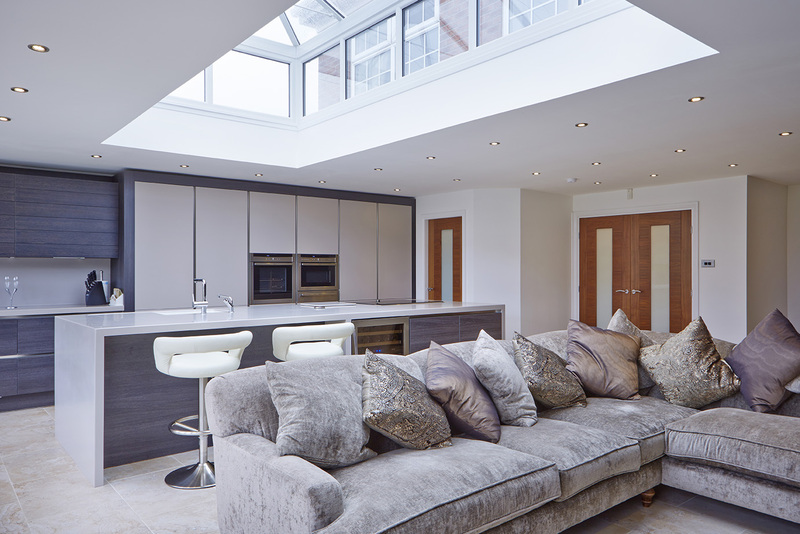 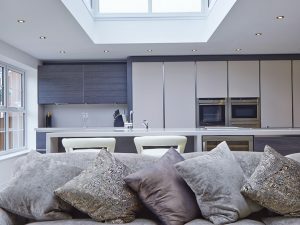 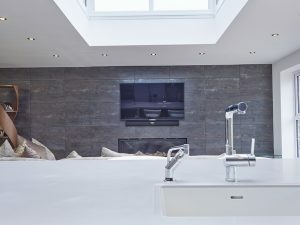 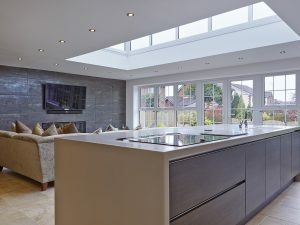 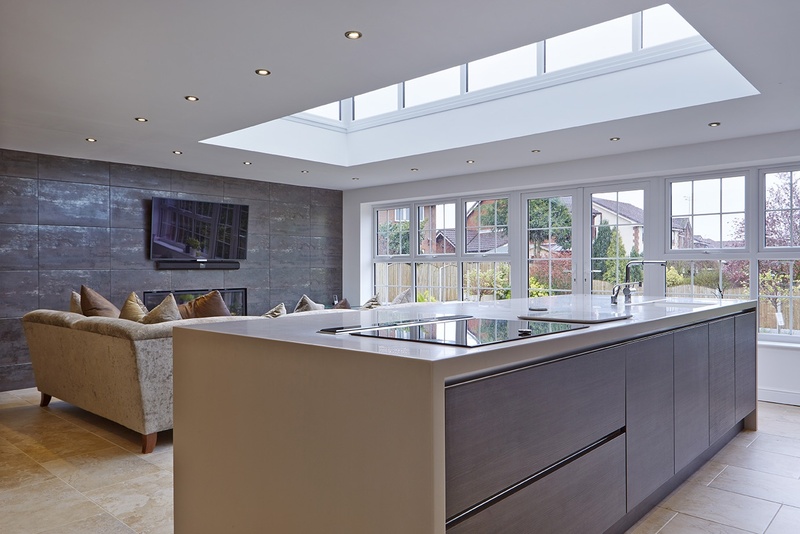 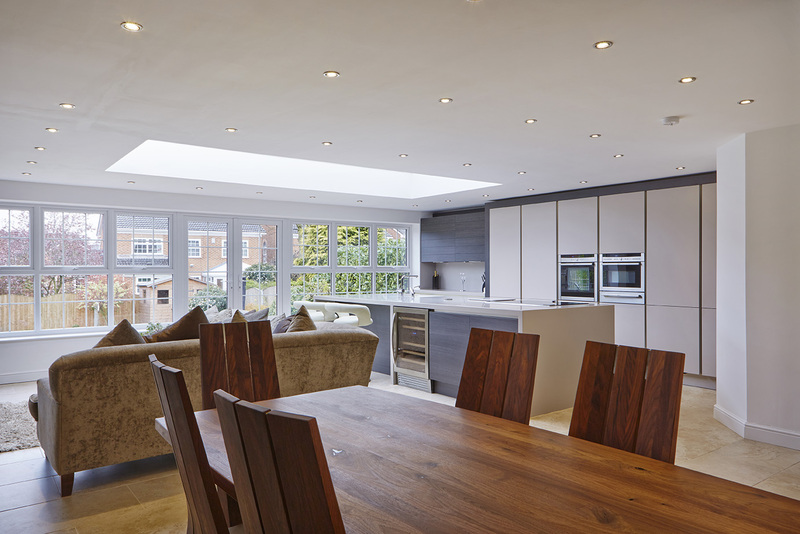 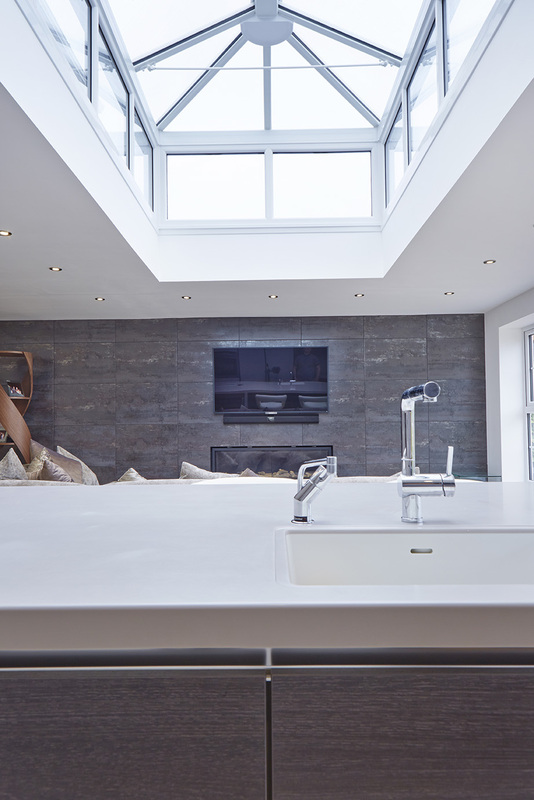 This new area was to incorporate a sitting area, kitchen area and dining area, using natural light and contemporary finishing to create a highly impactful living space. 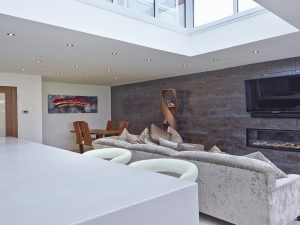 The combination of our architectural and design input, with the client's excellent eye for interior design, has created a stunning contemporary and functional space that is much more sympathetic to the look and feel of the original dwelling.